When a fatal car accident changes her life, Ohio schoolteacher Justine feels responsible for the American Indian child who has now lost her mother. But the sweet-faced seven-year-old isn’t a typical young girl, and she looks like no one Justine has ever seen. The child is critically underweight and has been starving herself for the past two years – and to help her, Justine will need to uncover a deeply guarded secret – and she knows there isn’t much time. With drama, mystery, and suspense, The Fragile Lion follows the story of a woman who must reconcile the unwanted past that comes to find her, the secrets she herself hides, and the endless lies that keep her safe. As she does, she will find herself abandoning everything that was once important to her, while fighting to save a troubled young girl's life, and hoping it will be enough. 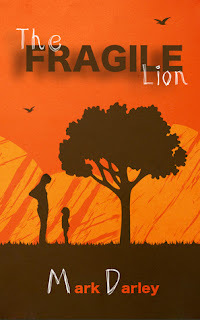 The Fragile Lion is an emotionally riveting story for readers who enjoy books such as My Sister’s Keeper, The Lovely Bones, or The Fault in Our Stars. The Fragile Lion is a very unique book. The writing is very well done. Even though a lot happens in a relatively short period of time, the story doesn't seem rushed. There's so much going on in the book that it's hard not to become emotionally invested in the characters. Throughout the story, I found myself hoping that both Justine and Sonya would find the answers that they needed. And while she starts out helping Sonya, Justine's quest ultimately transforms both of their lives. Even though the ending leaves questions unanswered, the ending was satisfying. After all, the very first thing I said whenever I finished the book was, "wow."